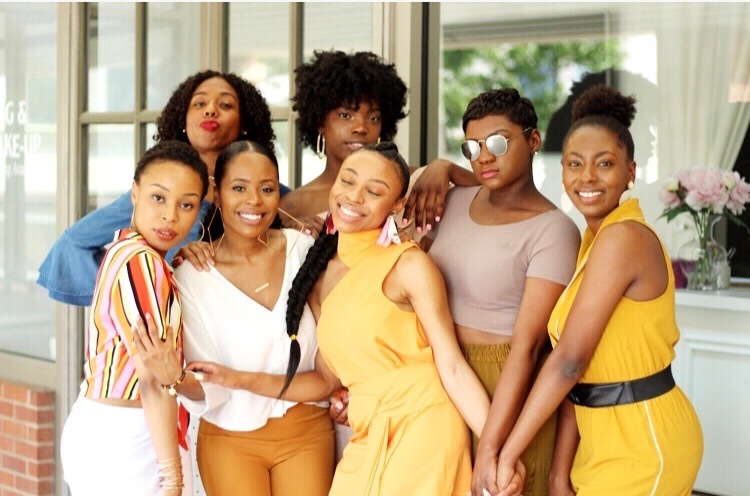 This weekend I was able to join my blogger friend Janee as she hosted her "Creative Girl Hangout" event along with her co-host Akilah and Michelle. This event was sponsored by Creme of Nature as she showcased their new "Pure Honey Haircare line". 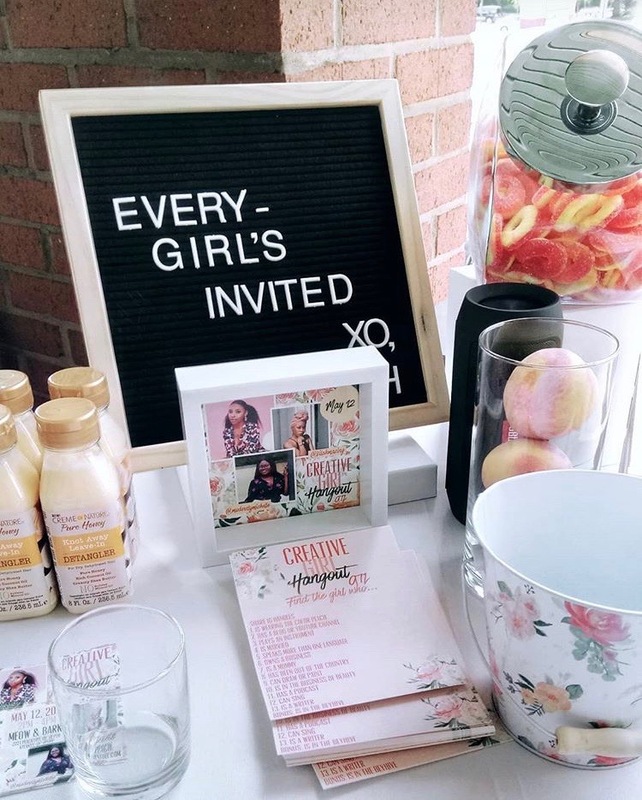 Think of this event as a huge party celebrating girl bosses as we vibe to Cardi B sipping on margaritas, peach cobbler cupcakes and a room filled with fresh peaches representing the Georgia peaches hahaha. I will forever be a Jersey girl but at the event I blended well. The room was filled with black girl magic and inspiration. We discussed girl talk, blogging, branding, culture along with tons of giveaways. I want to speak on the importance of supporting women. When I moved to Atlanta I made a promise to form a tribe of inspiration and positivity. Let me tell you I developed a special kind of love for Atlanta because of the hustle of the black women here and everyone making room for each other to eat. A city filled with black entrepreneurs chasing their dreams! I met Janee at a previous blogging event and every since then we formed a tribe and the support has been REAL. We inspire each other to achieve our goals and to never compare to the next person but to continue to find ways to be authentic while being creative. When Janee gained the opportunity to work with Creme of Nature I was extremely excited for her because I know how hard she works and this was a major goal she achieved. I made it my best to support her and to continue to encourage her as well as the tribe to go after everything that makes their heart smile. I can't stress it enough how women should stick together and be very supportive of one's goal. It will not hurt you to support someone else. We all are different and like I always say its room for all us to eat. There is no need to compete but form tribes that can help one another take over the world. I'm obsessed with seeing women encourage, support, and empower other women. Lets celebrate our women! It's my favorite we need more! "The best kind of friendships are fierce lady friendships where you aggressively believe in each other, defend each other and think the other deserves the world"